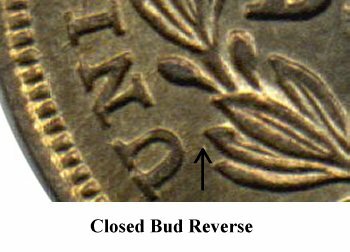 Comments: Reverse B, with a Small O mintmark, is the second left over Closed Bud reverse die from 1840 used to strike coinage in early 1841. 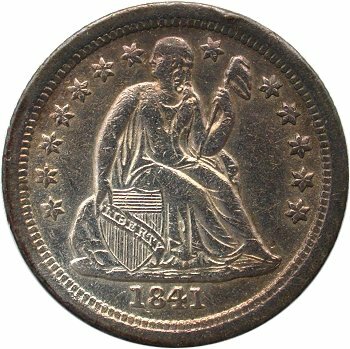 The result is the 1841-O Small O Closed Bud transitional variety. 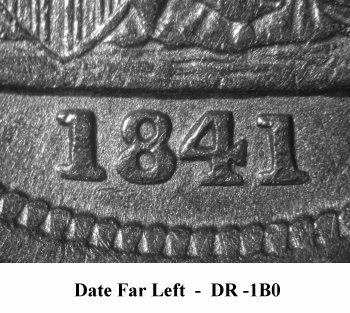 The last known Reverse B die state was previously documented within the 1840-O Variety 107 listing. 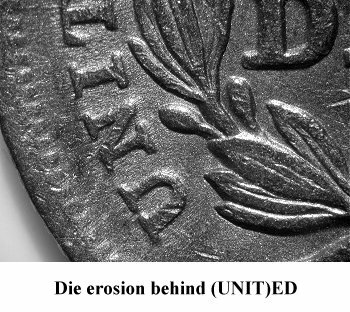 When Reverse B is paired with Obverse 1 of 1841, die erosion is pronounced and visible behind (UNIT)ED and AME(RICA). 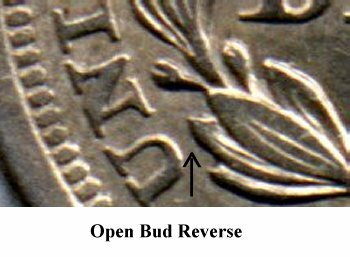 Well circulated examples of the Small O Closed Bud variety will be found with Reverse B showing excessive wear in the reverse center due to a die bulge. Expect at least a full one to two grade difference between obverse and reverse with the die bulge reverse issue. 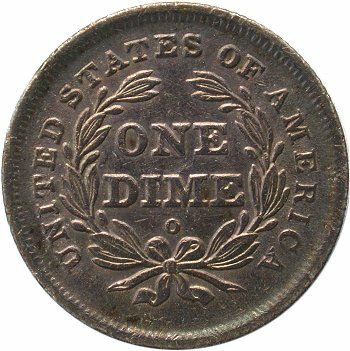 The 1841-O Small O Closed Bud variety is a very scarce transitional variety in lower circulated grades of Good through VF. Many will be found with problems. In problem free EF or better, this variety is very rare and brings a substantial premium. 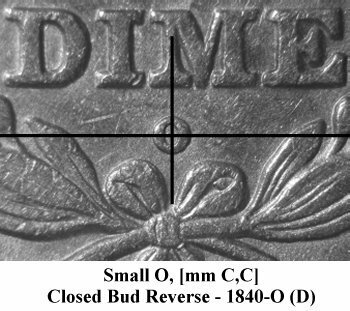 Both the 1841-O Large and Small O transitional Closed Bud dimes are key dates in the Top 100 Liberty Seated Dime Variety set. 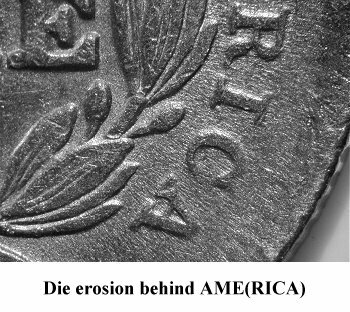 The plate coin is one of the finest examples known for this variety. There are no established pricing guides for the 1841-O Close Bud varieties other than the author's Top 100 Varieties pricing guide. Within the guide, Closed Bud Small O AU50 examples are estimated at $24,000 while MS 60 grade value is undetermined due to no known transactions in higher AU or MS60 grades. Present valuation could be higher as more collectors adopt the Top 100 Varieties set as a collecting objective.